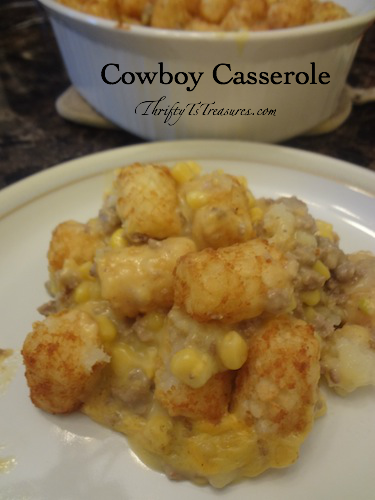 Tator tots, ground meat and a few other ingredients make this Cowboy Casserole oh so very tasty! 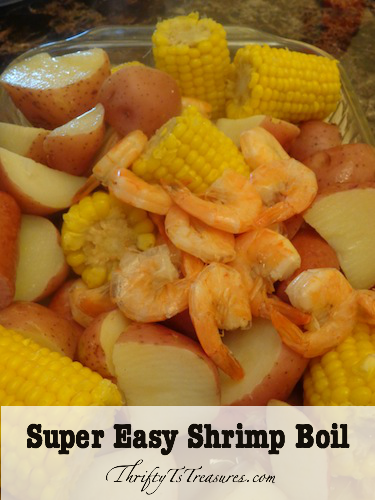 We love easy dinner recipes and this one is a no-brainer! 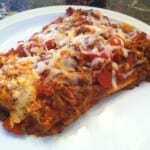 Cowboy Casserole – the name makes you feel like you’re sitting by the chuck wagon doesn’t it? 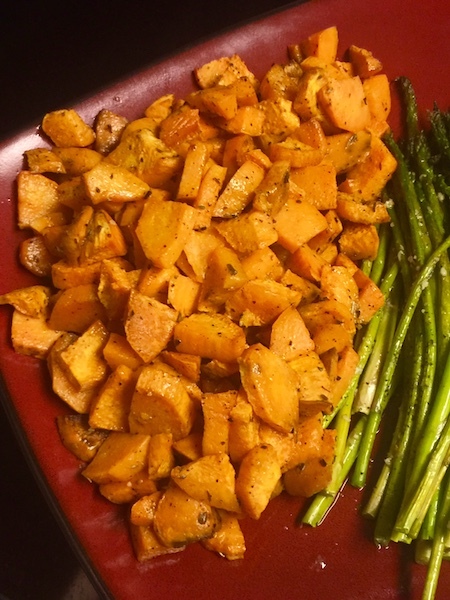 I had to adapt the original recipe a bit because when I started cooking I realized that I didn’t have all of the ingredients. That’s the great thing about creating in the kitchen – you can make it work with the items you have on-hand. 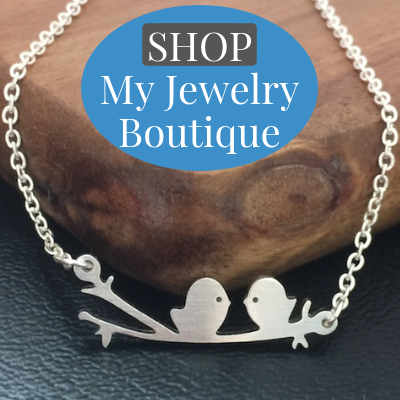 The end result was that it turned out great! 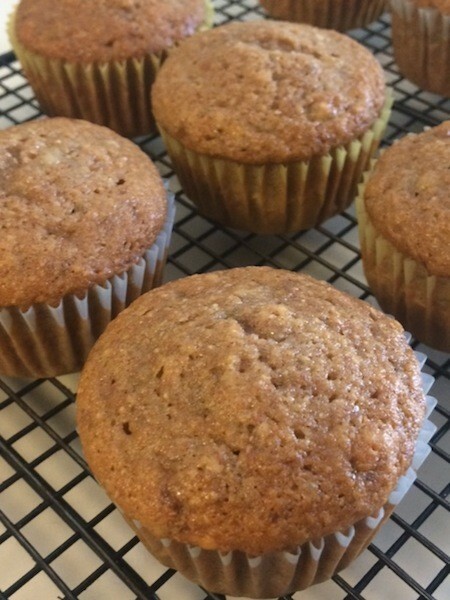 Not only was this recipe tasty, it was also very simple to make. I had some chopped onions in the freezer so I threw them in (still frozen) after the meat was cooked and they cooked down beautifully! 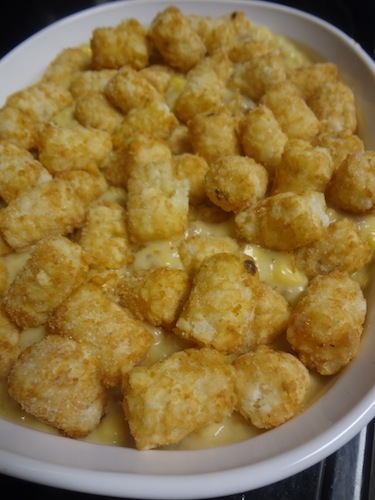 I’ve had tater tot casseroles before but never one with a layer of tator tots on the top and the bottom! Trent thought this recipe might also be good with green beans so we added some in when we had leftovers. He was right – yummo! Add your onions and cook down a bit. 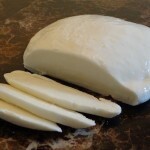 In a separate bowl combine the soup, cheese and milk. 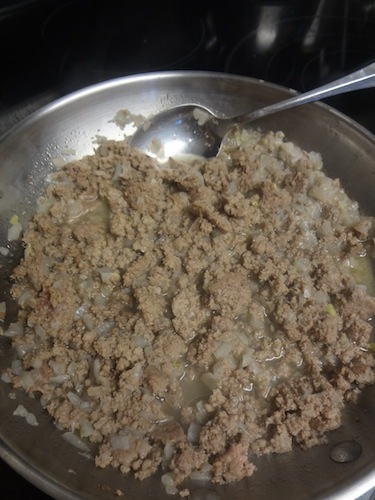 Add this mixture and the corn to the cooked meat mixture and mix well. Place half of the tator tots in the bottom of a 2.5 quart casserole dish. Top with the meat mixture and then another layer of tater tots. Bake in a 350 oven for 50-60 minutes. Thank you for your recipe. 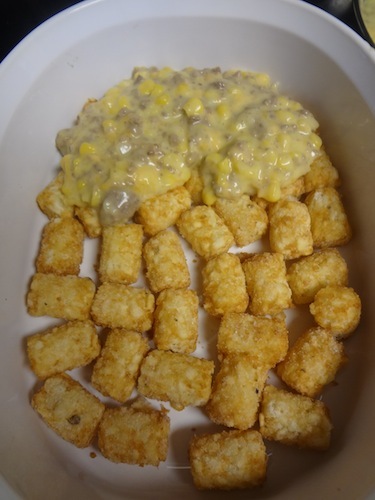 Over the years I started adding whole kernal corn to my tator tot casserole. I must admit I have not ever put the tator tots on the bottom. 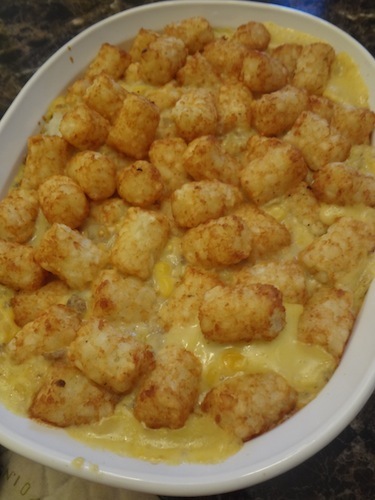 I would like to say the last time I made a tator tot casserole I added creamed corn instead of whole kernal. I think it was the best I have ever made. You’re welcome, Melanie! 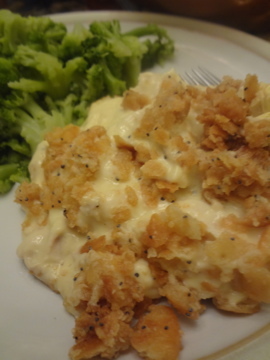 Creamed corn sounds like a wonderful variation to a tator casserole – thanks for sharing! Thanks for sharing on Something to Talk About at Spain Hill Farm! 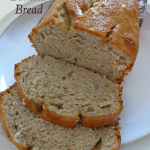 Love quick and easy recipes!